Melinda is a life-long resident of Meridian. She and her family reside in the Northeast area of Lauderdale County. She is married to Bob Adkins and she has two sons, Zach and Hayden and one stepson, Porter. Melinda is an experienced Realtor® with over 10 years in the industry. 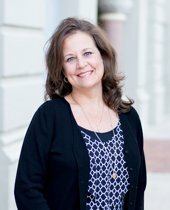 Some of her specialty areas include Listing Foreclosures, working with First Time Home Buyers, Selling New Construction, and Listing and Selling homes in Northeast Lauderdale Area. Melinda looks forward to helping you with all of your real estate needs.